Wholesome chickpeas and tangy feta cheese are blended together in this delicious meatless burger. 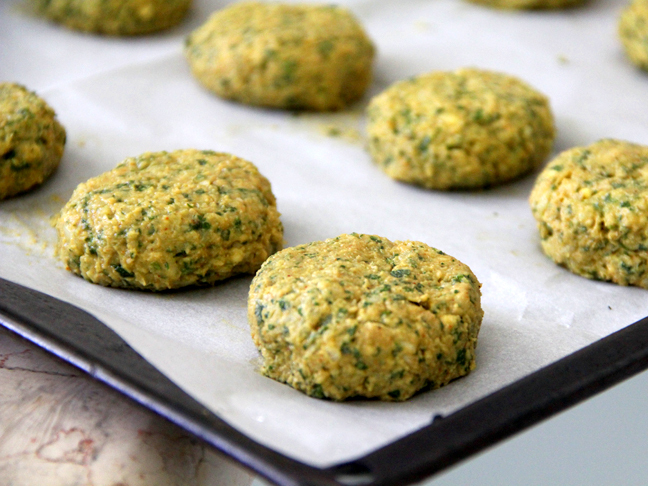 These baked chickpea-feta falafel burgers come together really quickly and are perfect for your upcoming meatless Monday! 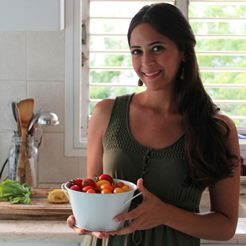 A yummy Middle Eastern style dish you can whip up for your next meatless Monday! 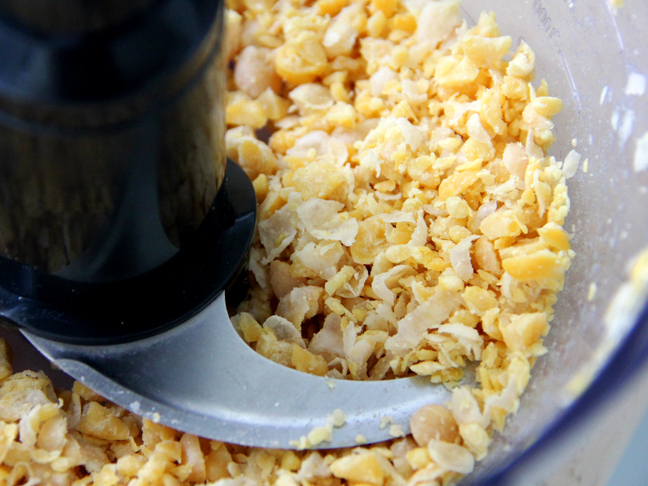 Step 2: Blend the chickpeas in your food processor. 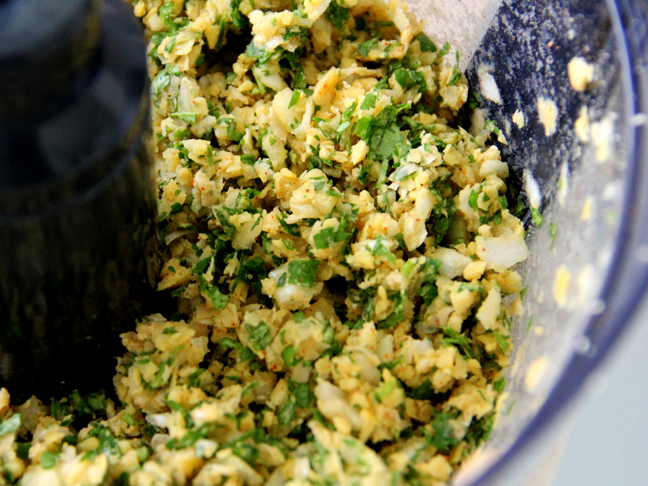 Step 3: Add the feta, parsley, cilantro, garlic, onion, tahini, olive oil, salt, cumin, coriander, baking soda, flour, and cayenne (optional). Blend until smooth. If the mixture is too sticky add more flour. Step 4: Cover mixture with plastic wrap and refrigerate for 30 minutes. Step 5: Line a baking sheet with parchment paper. 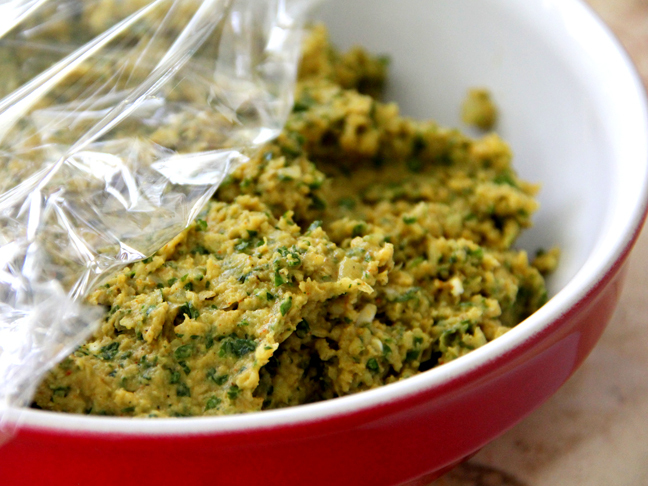 Scoop two tablespoons of the mixture into your hand and shape into a pattie, then repeat with the rest of the mixure. Spray the patties with olive oil spray. Bake for about 20 minutes or until golden brown. 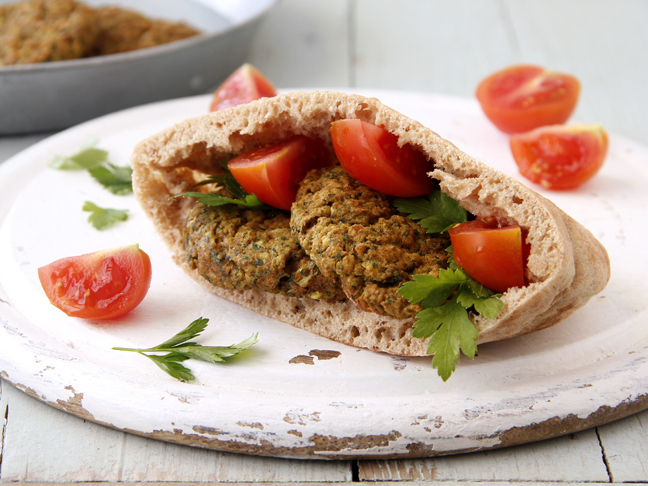 Serve in a whole wheat pita pocket, or with a fresh salad.